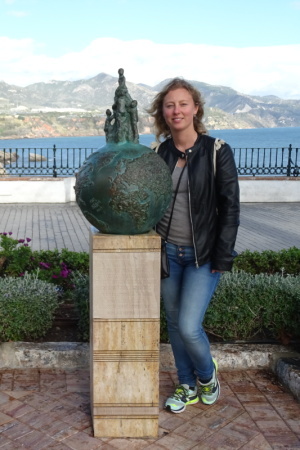 The Balcony of Europe is the most famous landmark of Nerja. It’s a large round balcony on a cliff in the seaside of the town. 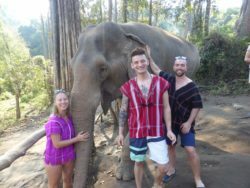 It provides stunning paronamic views of Sierra Almijara mountain range and the coast with its beautiful beaches, sandy coves and rocky outcrops. Underneath the balcony there is a restaurant. The balcony is also the location of various concerts and “fiestas” throughout the year. The Promenade of the Balcony of Europe is lined with many cafeterias, restaurants and ice-cream shops. The site of the balcony was originally home to the watchtower of the 9th century defensive fortification, used by the Moors to monitor the coastline. In 1487 it was rebuilt and it was known as “La Batería” after the battery of guns that sat inside it and protected the town. The tower was attacked and destroyed in 1812 during the War of Independence. The two rusty cannons recovered years later are presented on the balcony as a reminder of this battle. The balcony suffered further destruction during the earthquake in 1884. The year after the balcony got its name by King Alfonso XII. and later on it was rebuilt as a balcony. On the balcony you can find the statue of the king that was made in honour of this historic moment. The church is a lovely building situated on one edge of the Balcony of Europe and close to what used to be the old Guards Tower. It was erected in 1505 although the existing structure wasn’t built until 1697, and was then further extended during the period 1776 – 1792. Most of the processions that take place in Nerja begin and end here. The church is constructed in a baroque-neoclassic style. On the Promenade of the Balcony of Europe there is a sculpture to commemorate the discover of the caves by five local boys from the village of Maro. The caves were discovered in 1959 and contain the paintings believed to be at least 20 000 years old. 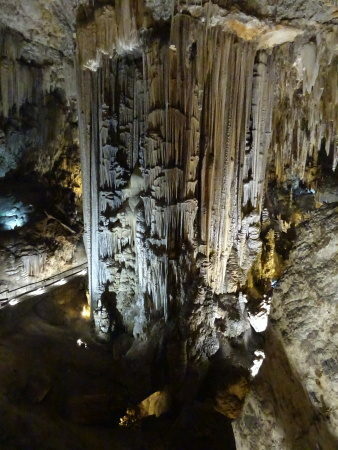 There are also the world’s largest stalagmite with its height of 32 meters and 13 meters by 7 meters at its base. 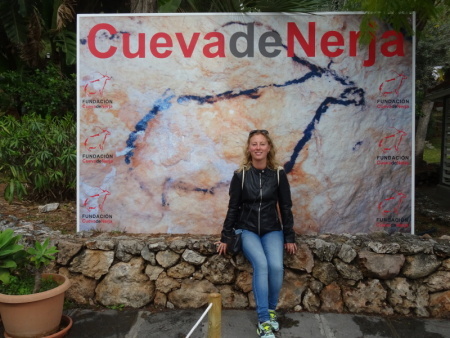 The Nerja caves are situated approximately 5 minutes by car from the Nerja town. There is also regular bus to get there. Eagle Aqueduct, also known as Eagle Bridge is the only place out of these four that I haven’t seen. 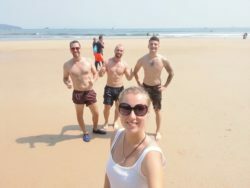 I found out about it later when I got back to the hotel. Anyway, I still have time to go to see it because I think it’s really worth it. 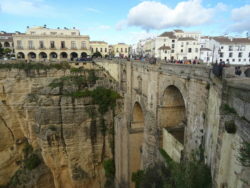 The Eagle Aqueduct (Acueducto del Águila) is an unconventional jewel of historic Spanish architecture. 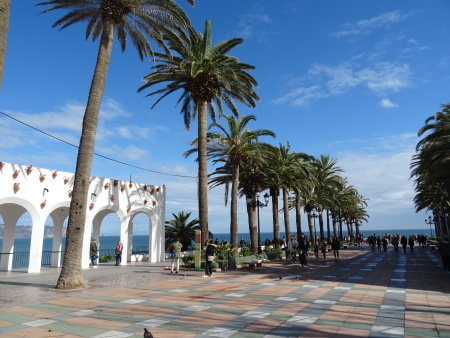 It’s located in the countryside just outside of Nerja. In the early days of its conception, the bridge was used to transport water into the neighboring sugar cane factory known as the San Joaquín sugar mill. During these times, the sugar cane industry was the largest in Nerja and the surrounding areas. Today, the aqueduct is used for local irrigation. 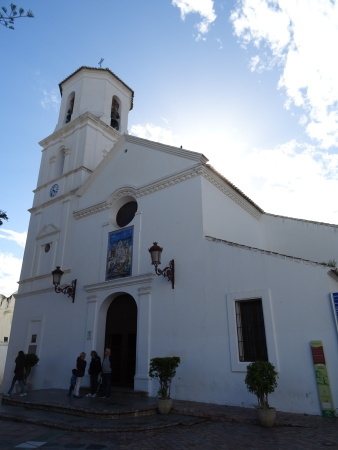 The historic significance of this lasting structure has been formally recognized by the Andalucian government with its official status as a Site of Special Cultural Interest. 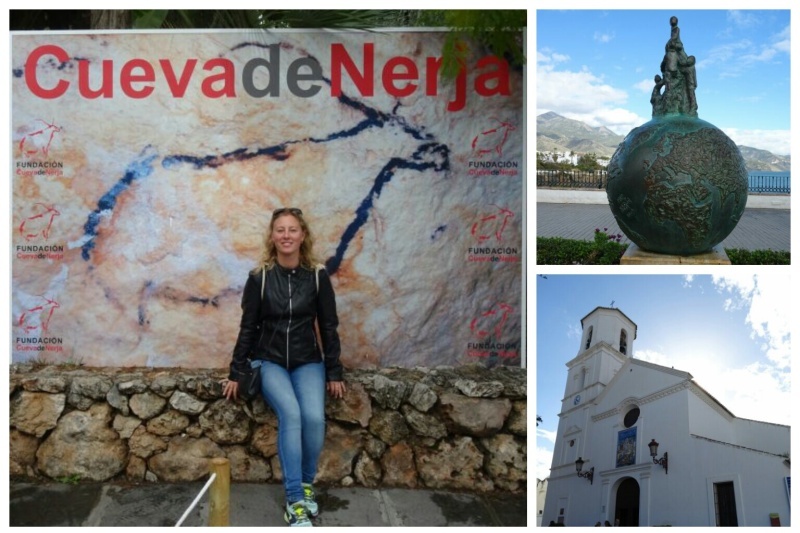 These were my four tips if you visit Nerja one day. 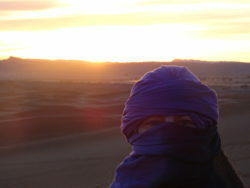 I still hope to see more places here around and I’ll definitely keep you informed about my travels! Theme Designed by InkHive.com. © 2019 Lucie's World. All Rights Reserved.